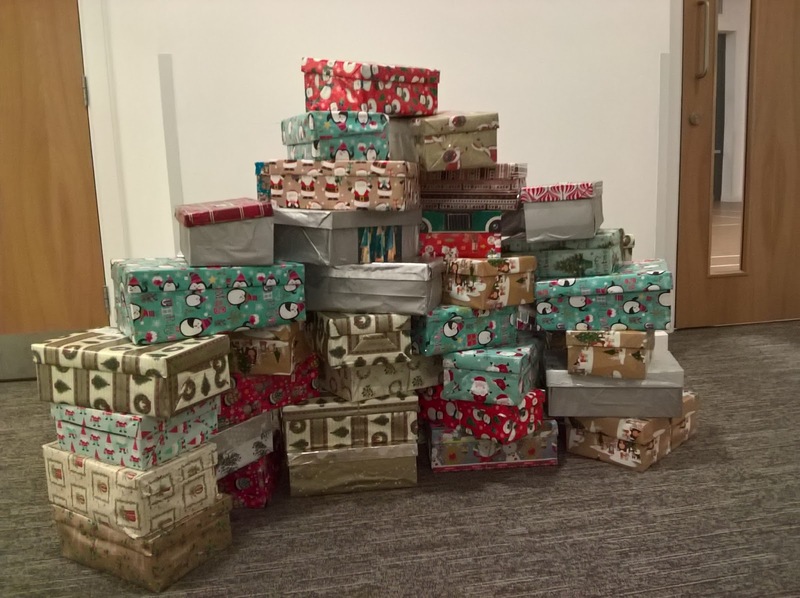 Ruxley Church Ladies' Group covered and filled 77 shoe boxes - their largest number to date - for Samaritan's Purse Operation Christmas Child. 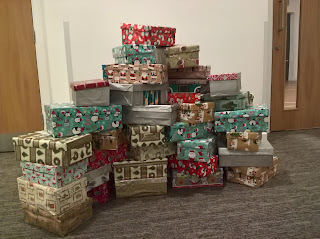 These boxes will be delivered to needy children in different parts of the world, but to cover the cost of delivery require £3 donation per box. Any help towards these costs will be gratefully received, and should be specifically marked "Donation towards Shoe Boxes".